A mammoth of an inflatable slide. You have to see it to believe it. 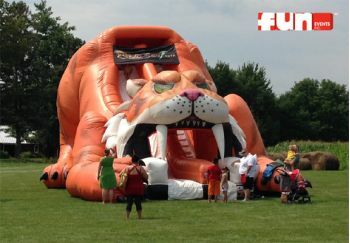 This gigantic saber tooth tiger cat inflatable slide will impress all your guests and entertain even the "biggest" kid. 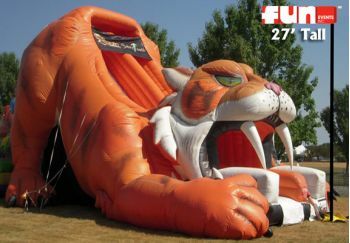 It is simply huge.